Every year at the end of January, we host a number of Orientation Events at Nørre G. These are open for all, and students as well as parents are welcome. The Stx Orientation Evening (Danish system!) takes place on Wednesday 23 January 2019 starting at 19.30 hrs. Click the Danish flag for more information in Danish. For our international lines, the pre-IB and the IB Diploma Programme, we host an individual Information Evening; this event takes place on Tuesday 22 January 2019, starting at 19.30 hrs. in our Assembly Hall. After an introduction with the IB Coordinator and a number of students, you can walk around to meet IB teachers and their students at subject booths to get direct and specific information and guidance. Student guides show around the school. Both the IB Coordinator and the IB Student Counsellor are available for individual talks and advice. 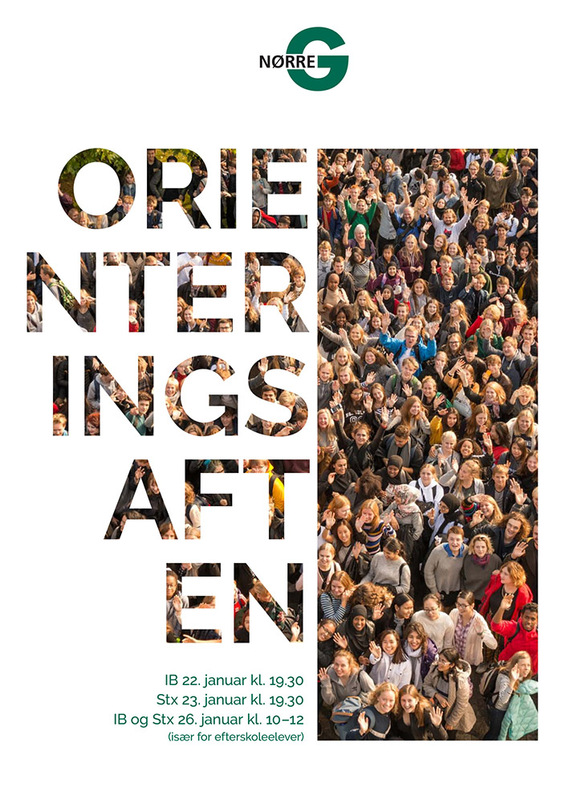 Are you attending 'efterskole' or are otherwise unable to attend the broader Information Evening on a weekday, we have an Orientation Saturday on 26 January 2019, starting at 10.00 hrs. The IB Coordinator explains the pre-IB and the IB Diploma programme and is available for individual guidance. For this event, it is necessary that you sign up via the form on the top right of this page.